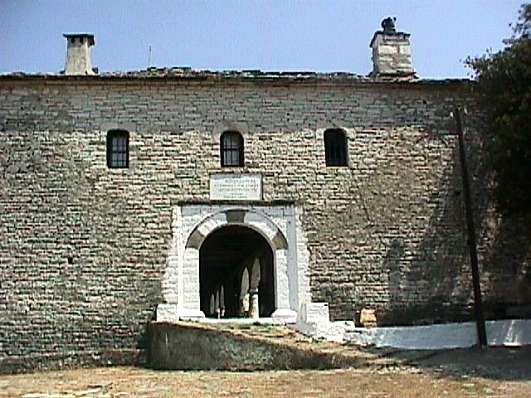 The Monastery of Tsouka is located near the village Elliniko in Ioannina. The monastery was built by the Emperor Isaak Angel in 1190 and is dedicated to the Dormition of Virgin Mary. It was destroyed in 1736 and renovated in 1779. The Monastery celebrates on 8th September. 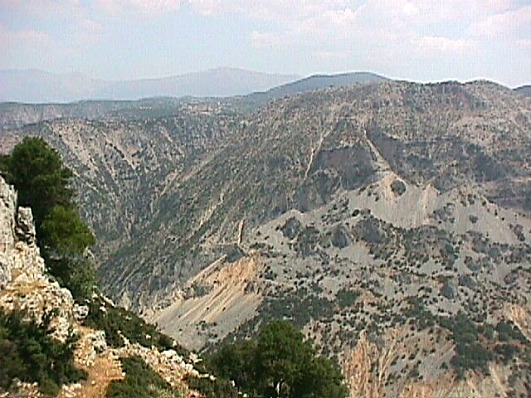 According to the tradition, it was found on the rock (Tsouka) where is built the monastery the icon of Virgin Mary. The habitants of the region put it in a church that they had built. However, the icon was always found on the rock. This was considered as a miracle and so the habitants built there the monastery. It is walled and has an arched entrance. The cells and the whole building is made of stone. The church is of medium size, with arches and columns in it. The main part of the church is domed with wallpaintings. It is th most importtant monastery of the prefecture of Ioannina. It developed a lot during the period of the Despotate of Epirus and it was a religious and national centre (in 1821 and during all the wars, it was the hiding place of the rebles and warriors).